As the weather turns drier, our hands and nails suffer the most. 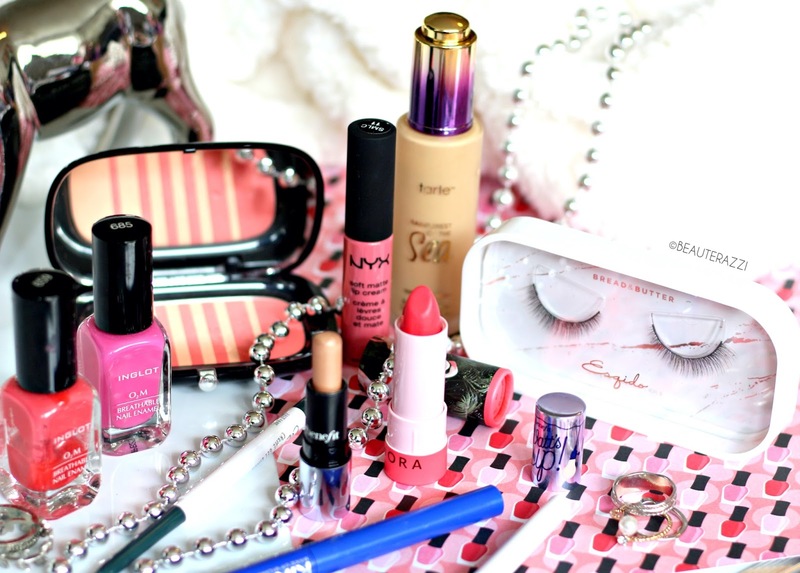 And that is when we need to jazz up our nail beauty routine. I was thrilled when Julep contacted me for their winterize your nails beauty campaign. 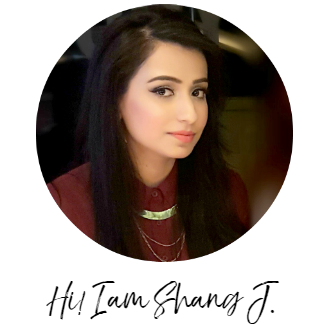 It was the perfect opportunity for me to share how I keep my nails healthy in Winter. Not to forget, now is the ideal time to hang out, party and be festive. 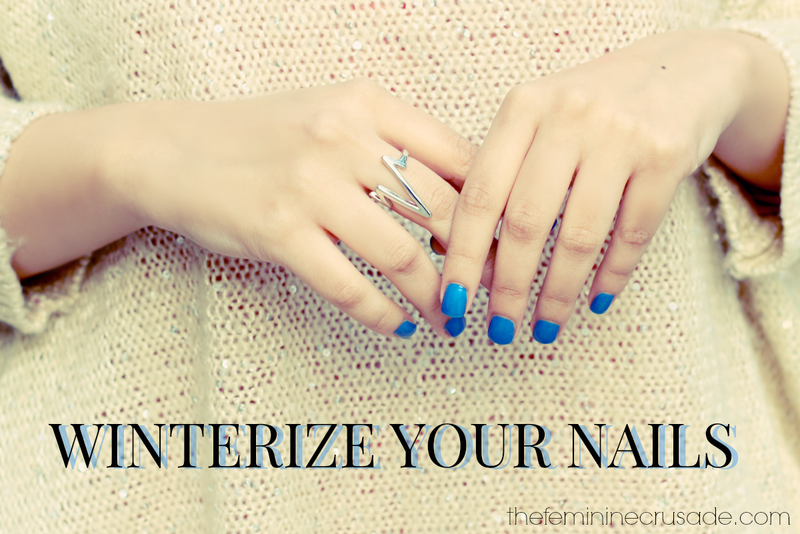 You don't want to look back and remember how unappealing your nails looked, do you? The most vital for me is a moisturiser that can keep my hands and nails soft and supple. I love to slather my cream all around my nail beds, followed by a good ol' brush of cuticle oil. I also make sure to exfoliate around my nails, once or twice a week, with a DIY scrub. My favourite is combining olive oil and sugar together. When that is taken care of, I then move ahead to filing and buffing my nails. Before adding a wintry nail colour I make sure I apply a base coat for added protection. 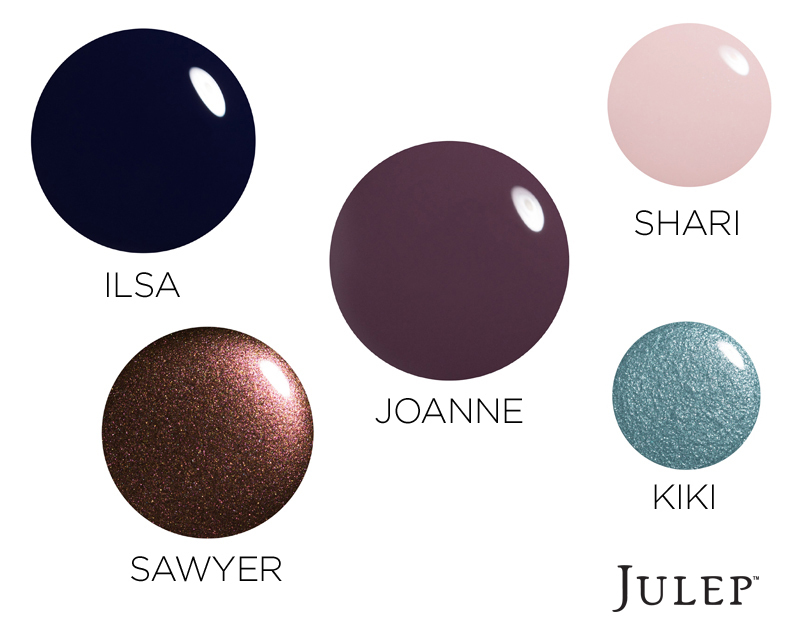 Julep has an amazing colour swatch of Winter hues and you can find so many more fabulous shades at their nail polish shop. I am already imagining my nails painted with Kiki. Such a beautiful, frosty shade, isn't it? Julep also shares their top winter nail-care tips. If you are worrying about your dried nail beds at the moment, don't forget to read through their guide. How do you take care of your nails in Winter?